Whattup, homies! 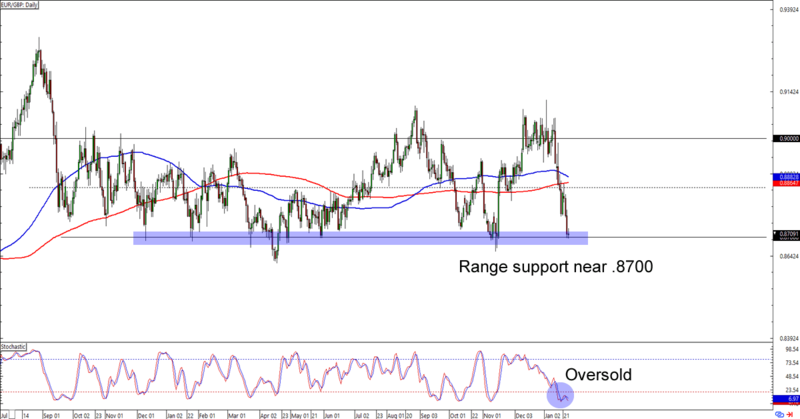 Today we’re lookin’ at not one, but TWO long-term pound-related setups. Check it! Support alert! EUR/GBP is trading around the .8700 major psychological handle, which is right smack at the range support that hasn’t been broken since November 2017. What makes the setup more interesting is that stochastic is chillin’ like a villain on the oversold territory. Will the range support hold for another day? A long trade at current levels would give you a good reward-to-risk ratio especially if you aim for the range resistance near .9000. If you’re not cool with buying the common currency, though, then you could also wait for the long-term range to break and short the pair instead. Whichever bias you choose to trade, make sure you’re practicing good risk management practices when you execute! Here’s one for the trend playas out there! 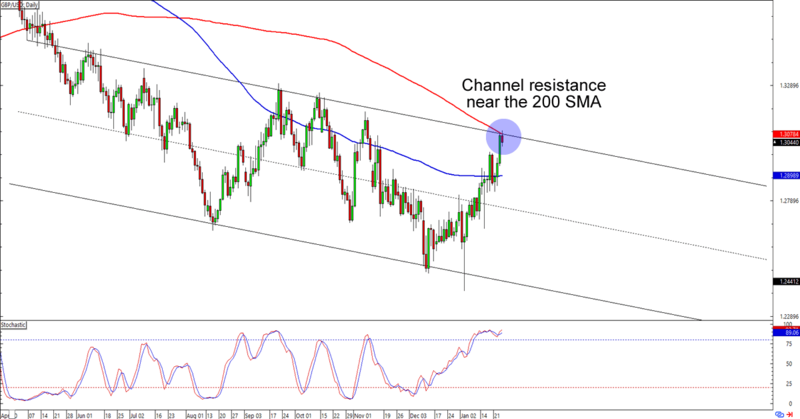 GBP/USD just hit the 1.3050 levels, which lines up with not only a descending channel, but also the 200 SMA resistance on the daily chart. Shorting at the earliest signs of bearish momentum sounds like a sweet play especially if the pound ends up dropping all the way to the 1.2650 or even 1.2500 previous support areas. Who’s up for trading this setup? Lemme know if you’re trading setups similar to the one we’re looking at today!